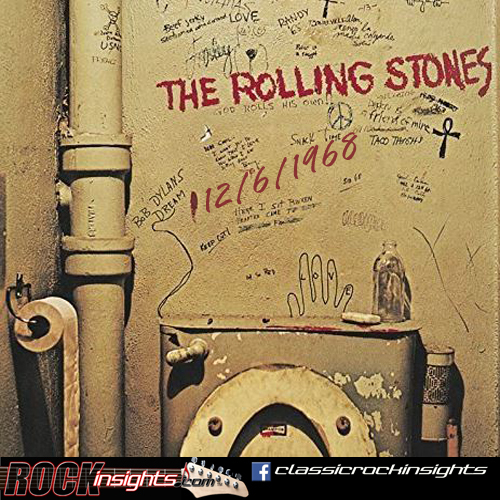 Today marks the anniversary of the release of Beggar's Banquet in 1968. It was the last full Stones album recorded with Brian Jones, who showed up only occasionally for sessions and often wanting to play instruments other than guitar (sitar on Street Fighting Man, harmonica on Dear Doctor and Prodigal Son, Mellotron on Jigsaw Puzzle and Stray Cat Blues). The following year on December 6th, the Stones headlined the ill fated Altamont Speedway concert near San Francisco. And on 12/6/1970, Gimme Shelter, the remarkable film documenting that concert, had its premier in New York City. Jackson Browne's Running On Empty got released on this day in 1977. Roy Orbison died on 12/6/1988, and the Eagles ended their 13 year hiatus, getting together for a video shoot that would be step on in reuniting for the Hell Freezes Over tour.